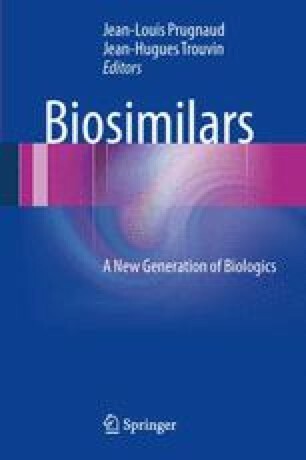 Biosimilars are copies of biological products. They are complex molecular structures hard—if not impossible—to produce by chemical synthesis. One of this complexity’s consequence resides in the analytical techniques for the study of various structural aspects of the molecule population of interest. Powerful physico-chemical and biological methods have to be used in order to globally apprehend the molecules tridimensional integrity and ensure a therapeutic activity and a tolerance profile constant for each patient. Another complexity of these biological substances is found in the production process, an element of their characterisation. This process should be perfectly mastered in spite of variables inherent to the particular mode of expression of genetically engineered substances. In this chapter this complexity’s various elements are studied, with recombinant proteins taken as typical molecules.